At the 2014 Association of Equipment Management Professionals (AEMP) symposium, Thompson Machinery (a Caterpillar dealer in Tennessee) delivered an interesting presentation that stressed the importance of turning telematics data into actionable information when managing heavy equipment. According to the presentation, the cost to repair catastrophic failures can be 10 to 20% of the price of a new machine, so avoiding these can have a huge impact on maintenance budgets. At the same time, knowing the true cost per hour of a machine enables companies to make smarter multi-million dollar purchases. It takes resources to act upon the information you collect with your telematics system. One company has a dedicated full-time administrator that monitors for critical fault codes, cautions and maintenance alerts. They also look at equipment utilization and fuel burn to see how hard the machine is being worked and if maintenance is required. There are a variety of tools available to make the job easier. 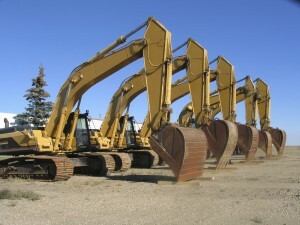 Geofences pen equipment in worksites to quickly detect unauthorized use or theft; dashboards show key information like engine utilization and whether the equipment is being used in high, medium or low load scenarios; and notifications via email or text message ensure that critical alerts are received by the right people. So before you bulldoze into selecting a telematics system, be sure that the necessary infrastructure is in place to take advantage of all the information that you may mine.